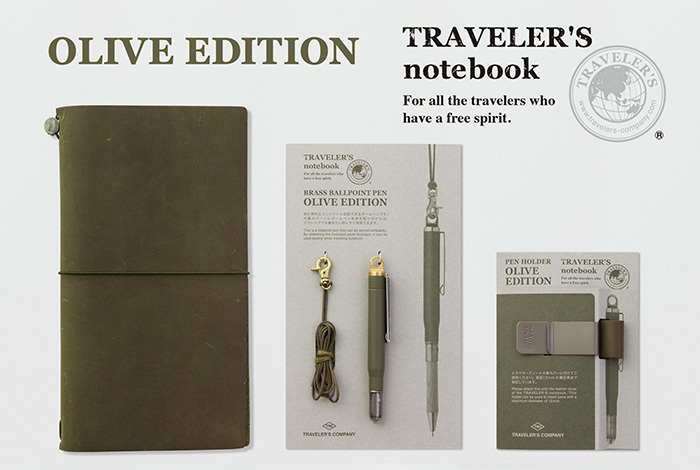 Today the Traveler's Company just released their announcement of their newest limited color for 2017- the Olive Edition. Is anyone just as excited about this as I am?? Anyone? Anyone? The official release date is scheduled for end of March in Japan, and sometime in April for countries outside of Japan. Check out the official Traveler's Company website here for more details and images. What do you think of the Olive Edition? Ya or nay? yes michelle...i am very excited. now i am trying to figure out where i can get one for myself.....any idea? Hi Katherine! The Olive Edition isn't out yet, but I'll be keeping my eye out...I know Baum-Kuchen is taking preorders right now if you email them. You're thinking about getting a TN? So I take it that it won't be available in a passport size? That is such a bummer! I would love a little one in this lovely color! I know...I wish it came out in the passport size, too..But, at least we'll have one style in this beautiful color. P.S. - Sorry I deleted my comment the first time. I didn't realise the profile was tied to my Google account.